This month, we're examing the many flavors of a genre of rock music that started in the '70s and has grown into its own prominence in the last 10 years. 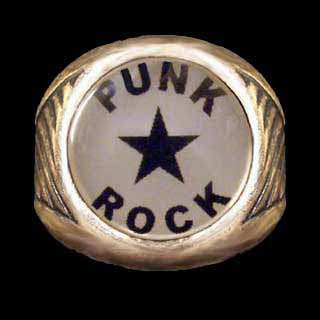 It's punk rock, one of the most misunderstood and negatively anti-biased music flavors out there. Yes there are some negative themes, lyrics, and so forth put forth in this genre, but I would say that's true of any music genre, be it country, rock, contemporay or otherwise. We're going to do a variety of things in this series. We're going to tell a little history, but mostly we're going to examine the flavors of punk, the musical style, the lyrical themes, the elements that spawned the punk movement and the bands that brought it life and have sustained it over the years. Don't expect to hear the same old song and dance. Yes, you should recognize some of the artists we'll play, but not necessarily the songs. And you know you'll hear some stuff that hasn't been on the radio before (hey, that's just what we do here). If you're a fan of punk rock, you should enjoy the ride. If not, but you have an open mind, you should find some new sounds to add to your collection. We're also going to look at what the punk rock movement spawned in terms of other sub-genres including ska, grunge, and (what we refer to as) alternative rock. Join us for Punk Rock August, on the Appetizer, Saturday at 8PM on KACU.